Tenrod Australia presents one of the new products in the DOMINANT high output SPNovaLED product range, White LED High Lumens SPNovaLED. 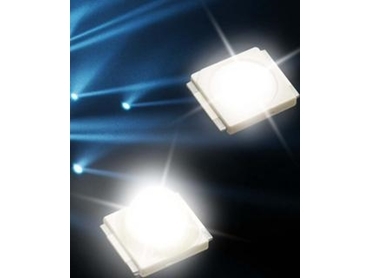 The White LED High Lumens SPNovaLED produces white light at typical 55 lm at 350 mA, making it the brightest high power LED in the SPNovaLED product range from DOMINANT Semiconductors. The LED comes with a wide angle of 120 degrees or with the option of an accompanying lens to give it a 60 degrees viewing angle offering more choice to the designer. The White LED High Lumens SPNovaLED has been developed to produce efficient light source in high luminance and offers the latest in white light technology. In terms of design and dimensions, the package is similar to the other SPNovaLEDs (6.0 x 6.0 x 1.5 mm) and can withstand difficult operating temperatures of -40° to 100° C.
The High Lumens White LED SPNovaLED is an ideal light source for all lighting applications and offers greater efficiency than ever before.